God at Work from John Muratori Ministries on Vimeo. 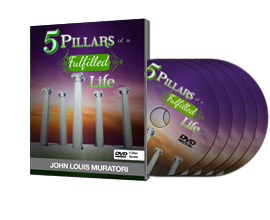 Stewardship Secrets from John Muratori Ministries on Vimeo. Ideology of Money Part 2 from John Muratori Ministries on Vimeo. Ideology of Money from John Muratori Ministries on Vimeo. The Art of Conflict from John Muratori Ministries on Vimeo. The Power of Mentorship from John Muratori Ministries on Vimeo. The Year of Giving from John Muratori Ministries on Vimeo. God I Need More Dough from John Muratori Ministries on Vimeo. Field of Dreams from John Muratori Ministries on Vimeo.